Divers: Four to Eight (depends on boat capacity), two more if enter from shore. 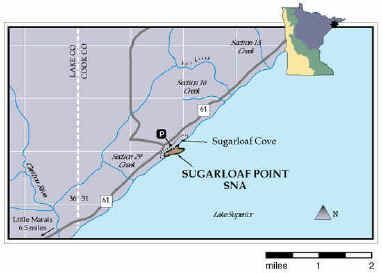 Conduct a Magnetometer Survey of Sugarloaf Cove. Lead a Diver Survey of the bottom & document findings. Take UW Photos of artifacts as they are located. Randy would like the GLSPS and the Duluth extension group to help conduct the diver survey. He plans to use his boat, which could accommodate 4 divers, including himself. He welcomes the addition of another boat with divers, if it could be available. Since the PRESERVATION will not be ready in time, it might be better to use a private boat. It may also be possible to do a shore dive, which could involve additional divers, especially if a second boat is not available this weekend. This dive is also doable from shore. Shore Dive Guide. If you would like to help with this project, please contact Randy by email or by calling him at home. 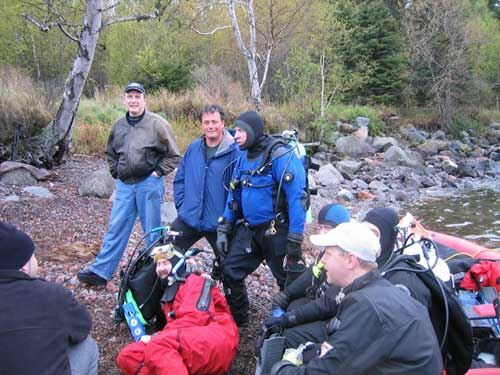 The GLSPS provided several divers for an interesting day of helping survey the bottom of the Sugar Loaf Cove on Saturday, June 5th, 2004. In spite of rainy weather the group made two dives and completely covered the bottom of the survey area. 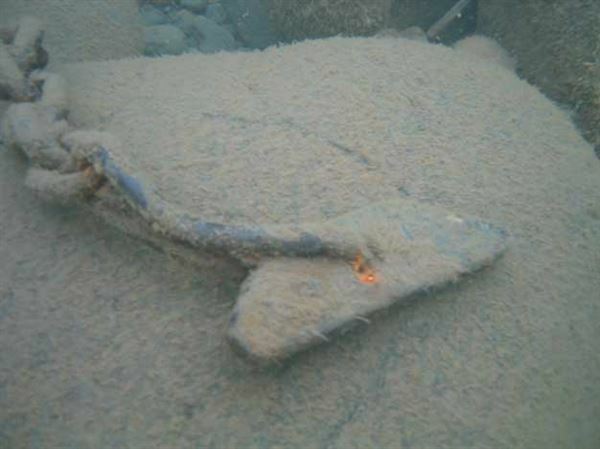 The group located and documented many interesting underwater artifacts. These artifacts were left behind when they fell overboard during logging operations (see feature article in Spring 2004 Newsletter issue). 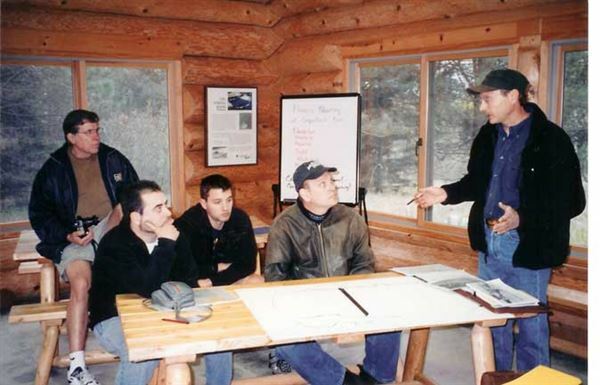 Randy Beebe led the group’s participation to help Andrew Slade, the director of the Sugar loaf Cove Interpretive Center. GLSPS divers included Jerry Erdmann and his wife, Gerry, Corey and Steve Daniel, Byron Meyer, Jay Cole, Pete McConnell, Bill Wallace and some others. Jay recorded the event on video to document the survey. 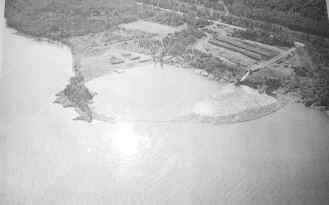 As divers found artifacts on the bottom, they reported in to Randy, who marked their location on a large drawing of the cove. The information will be helpful to other divers and historians visiting the site and photos and maps will be on permanent display at the Sugar Loaf Cove interpretive center. Randy was successful in acquiring a $103.00 grant from PADI to support the project. The funds will be contributed to the GLSPS. Randy Beebe explains the plan for the survey. 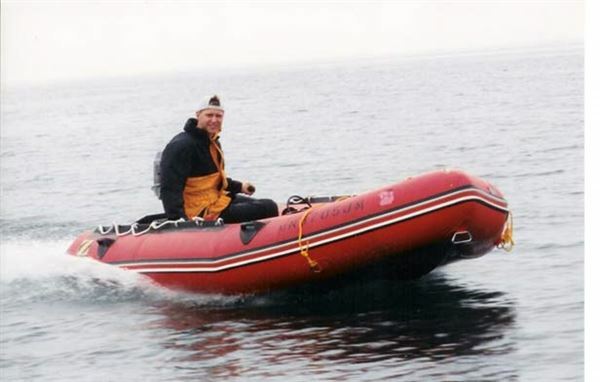 Pete McConnell provided surface support from his Zodiac. One of the many artifacts located and documented.